Stud earrings are a classic, never-go-out-of-style jewelry piece that can help pull together an entire look. From big and bold head-turning studs to dainty, subtle accents, Forever One moissanite studs are the perfect earrings for any occasion. 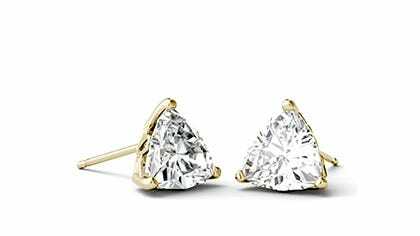 Gold stud earrings are always a great addition to your wardrobe - you can spice up your collection of stud earrings with rounds, cushions, Asscher cuts and more.